The small table top chimenea has a Mexican inspired intricately cut out design. 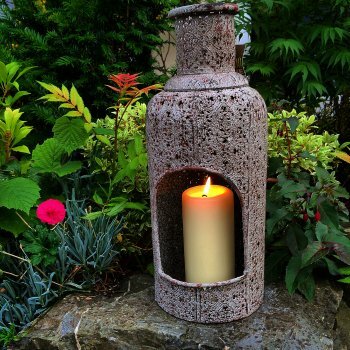 Made from metal and finished with an aged distressed look this chimenea is ideal for dining outside. The large opening at the front allows you to insert a candle and once lit a beautiful light is given off. 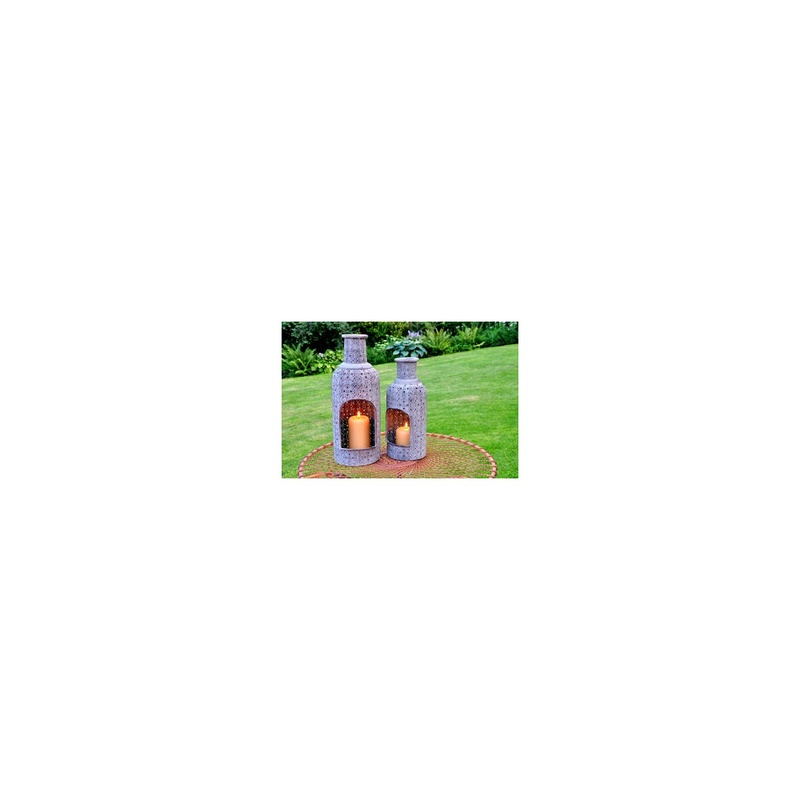 This chimenea looks equally good inside the home as well.